CUPERTINO, Calif. (AP) — Apple has made a luxury iPhone that punctuates its technological swagger with a high-priced exclamation point. And that exclamation point appears to be a sign of things to come. The long-anticipated iPhone X unveiled Tuesday will sell for $999, double what the original iPhone cost a decade ago and more than any other competing device on the market. That’s very much in line with Apple’s long-term positioning of itself as a purveyor of pricey aspirational gadgets. But it’s also a clear sign that Apple is ramping up that strategy by continuing to push its prices higher, even though improvements it’s bringing to its products are often incremental or derivative. Among other things, that runs contrary to decades in which high-tech device prices have fallen over time, often dramatically, even as the gadgets themselves ran faster and acquired new powers. On Tuesday, for instance, Apple also introduced a TV streaming box that will sell for $179, far more than similar devices, and a smartwatch with its own cellular connection that will cost almost $400. In December, Apple will start selling an internet-connected speaker, the HomePod, priced at $349, nearly twice as much as Amazon’s market-leading Echo speaker. Apple is also raising the price of its runner-up phones, the iPhone 8 and 8 Plus, which will respectively cost $50 and $30 more than their immediate predecessors, the iPhone 7 and 7 Plus. The premium pricing strategy reflects Apple’s long-held belief that consumers will pay more for products that are so well designed they can’t fathom living without them. Apple CEO Tim Cook left little doubt in the company’s confidence in the iPhone X (pronounced “ten”), whose name references the decade that’s passed since company co-founder Steve Jobs first pulled out an iPhone that sold for $499. Cook attempted to frame the iPhone X as a similar breakthrough, hailing it as “the biggest leap forward” since the original iPhone. But the original iPhone revolutionized society by putting connected hand-held computers and apps into the hands of millions of ordinary people. The iPhone X mostly promises to do what earlier smartphones have done, only better. The technological wizardry in the iPhone X is unquestionably impressive. It includes a bright new edge-to-edge screen, a special artificial-intelligence-enabled chip, new sensors for facial recognition and a grab-bag of fun items like animated emojis that mimic your expressions, portrait-mode selfies that blur the background, an augmented reality game platform and wireless charging. Apple said the phone’s battery will last two hours longer than that of the iPhone 7. But rival phones — many of them from Samsung — already offer similar displays, facial recognition, augmented reality and wireless charging, if often in cruder forms that mostly haven’t won over large numbers of phone users. None of which is to say that Apple won’t break new ground. 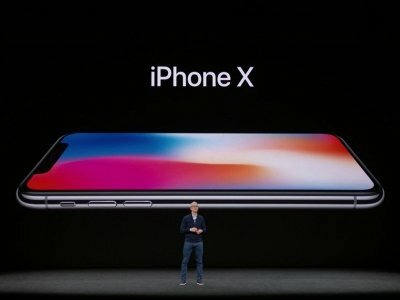 In particular, the iPhone X gives Apple the opportunity to bring augmented reality — essentially the projection of computer-generated images into real-world surroundings, a la the monster hunts in “Pokemon Go” — into mainstream use. No one can say with certainty what sort of “killer app” will make augmented reality a hit. Whatever it turns out to be, it seems as likely to emerge from an unknown startup as an established company. But Apple is certainly taking a stab at the problem. On Tuesday, Apple demonstrate a simple use for sophisticated camera technology on the iPhone X with “animoji,” which lets people animate emoji characters with their voices and facial expressions — and then send them to their friends. Showing off a new technology with something that everyday people can use and understand is “what Apple does best,” said Gartner analyst Brian Blau. Augmented reality won’t be restricted to the iPhone X; the apps will also run on hundreds of millions of other iPhones so long as they install new operating-system software called iOS 11 when Apple pushes out a free update next week. In a way, Apple may have its rivals to thank for this opportunity. Fiercer competition from Samsung, Google and Huawei increased the pressure on Apple to make a big splash with its new iPhone, says technology analyst Patrick Moorhead. Other Apple devices are also getting better. A new Apple Watch can finally make phone calls and stream music over cellular networks without an iPhone nearby, and the company’s Apple TV streaming box will now deliver super-sharp “4K” video. Ortutay reported from New York. AP technology writer Tali Arbel contributed to this story from New York; technology writer Ryan Nakashima contributed from Palo Alto, Calif.